Beautiful, AMHR/ASPC Registered coming yearling Show Quality colts and fillies Offered For Sale!! Have 10 mares in foal for 2019 - eight in foal to HOF - National & Congress Champion - JUSTIFIED AN, and two in foal to RHA Unique Tom Cat OK “TIGER”, HOF and Classic Pony of the Year! 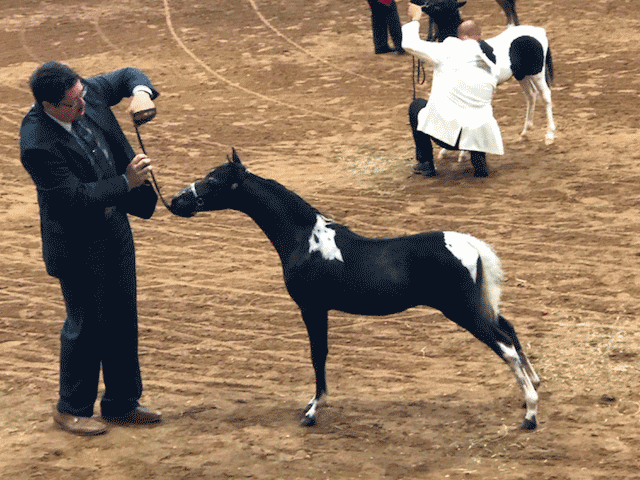 SIRE: SMHC's Warp Drive "Vader"
This beautiful colt has already made his mark in the National Show Arena!! 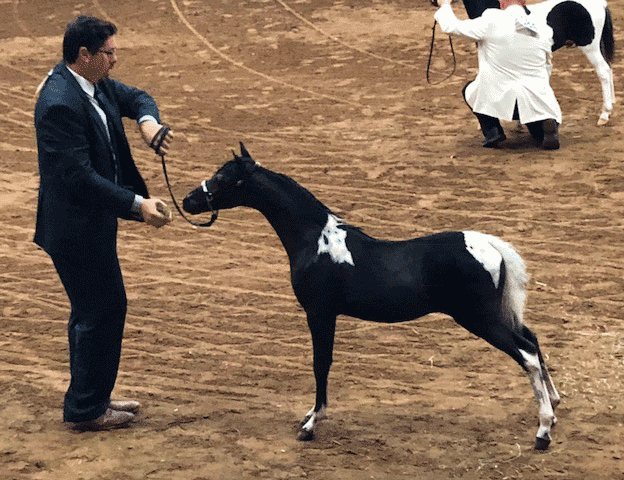 At Nationals he WON 3rd in Futurity Halter (out of 36 horses), 4th in Open Halter (out of 40 horses), and 5th in Owned, Bred & Shown (out of 22 horses)! He is only getting better as he matures, should mature 36 - 37", and also has great movement like his dam! A real winner as a show horse then later a great producing stallion. Beautiful, wild marked, homozygous, black pinto weanling filly! Conformationally correct, and very easy to work with , and gentle to be around! Would make an excellent show filly - pretty headed with long neck, and will stand out in the ring! Then later a great broodmare to produce those colorful foals for you! Very pretty, rare black sabino colored and conformationally correct weanling filly, should mature 35 - 36" tall. Would make a very nice show horse, and later a treasured broodmare! Very sweet and gentle colt, loves attention, and would make a great show, driving, or obstacle gelding! You can do pretty much any thing with him, very willing to please, and not too much upsets him. Comments Off on Beautiful, AMHR/ASPC Registered coming yearling Show Quality colts and fillies Offered For Sale!! Check back frequently for updated information on what we currently are offering For Sale. We Have More Quality Miniature Horses & Shetlands For Sale in Maryland at ValhallaFarm.net. Valhalla Farm, Westminster, MD breeds, raises, shows and sells quality registered miniature horses and Shetlands. Enter your email address to subscribe to Valhalla Farm For Sale blog and receive notifications of new posts by email.